The shoulders represent how their relationship has been intertwined throughout the many years they have been together since high school. 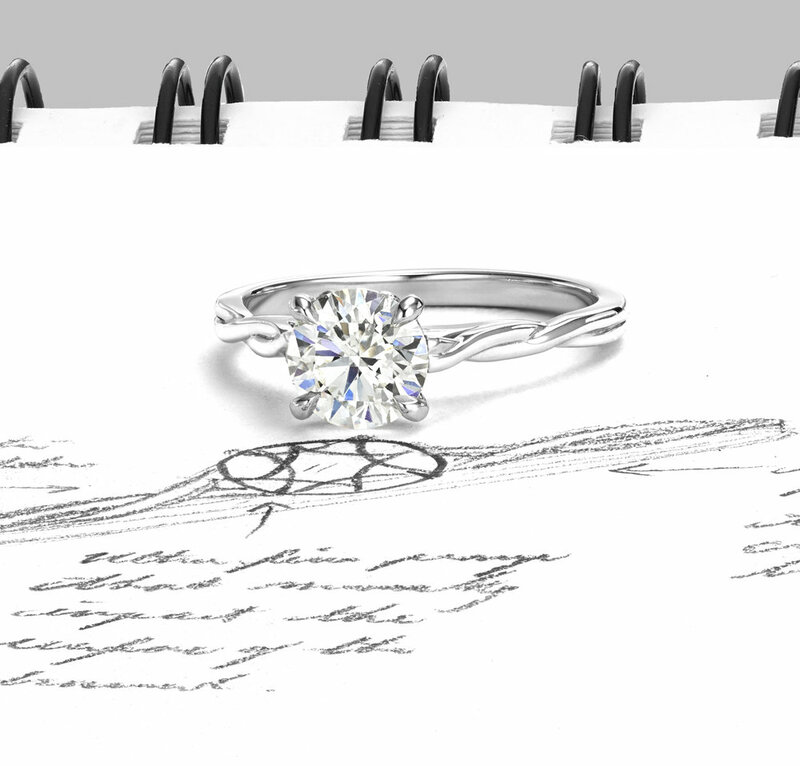 The prongs are inspired by the Catholic church which they attend, honoring her faith and belief. Six colorful gemstones are set on the inside of the ring, symbolizing when they first met at basketball practice after school, when they became official, a meaningful moment which brought them even closer, an ode to their beloved dog, when they moved in together, and their engagement in New York City. Framing the gemstones are two carvings representing her heritage and roots. Set on the side profile, a meaningful gemstone to represent her beloved Angel. The Sweetheart Ring features a round brilliant diamond set in platinum.